Recently two BlackBerry branded smartphones with model number BBE 100-1 and BBE 100-2 had passed FCC (Federal Communications Commission). They are said to be the Lite version of the BlackBerry KEY2 launched at New York in early June. 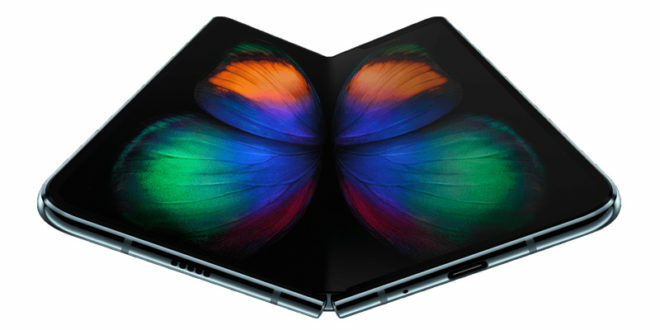 Even popular tipster Evan Blass confirmed the device’s existence on his twitter handle @evleaks. 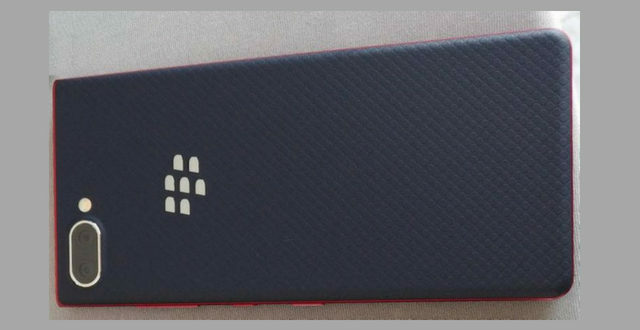 Now another BlackBerry branded smartphone with model number BBE 100-5 has passed the FCC certification on July 26. 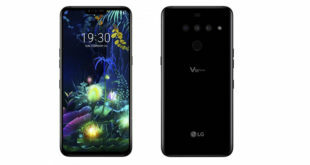 The listing confirms the smartphone along the previous models belongs to the Lite variant. The labels reveal the official name of the smartphone will be BlackBerry KEY2 LE. The new model reveals the same specs as the previous ones (BBE 100-1 and BBE 100-2). 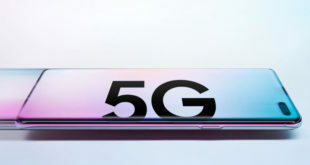 Connectivity features are revealed as Wi-Fi 802.11 a/b/g/n ac (2.4GHz + 5GHz), Bluetooth and NFC and will be backed by a 2,900 mAh battery. Blass claims that the smartphone is codenamed ‘Luna’. 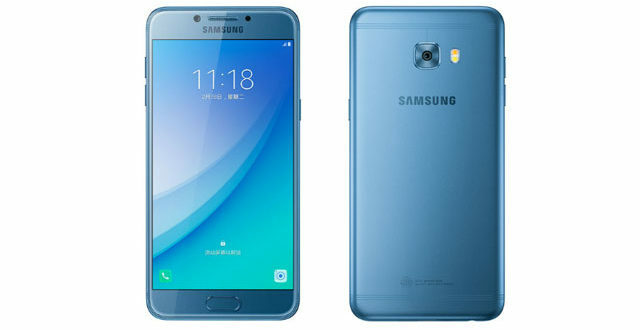 It will have the same design factor as the KEY2 and will be available in Red, Blue and Copper colour options. 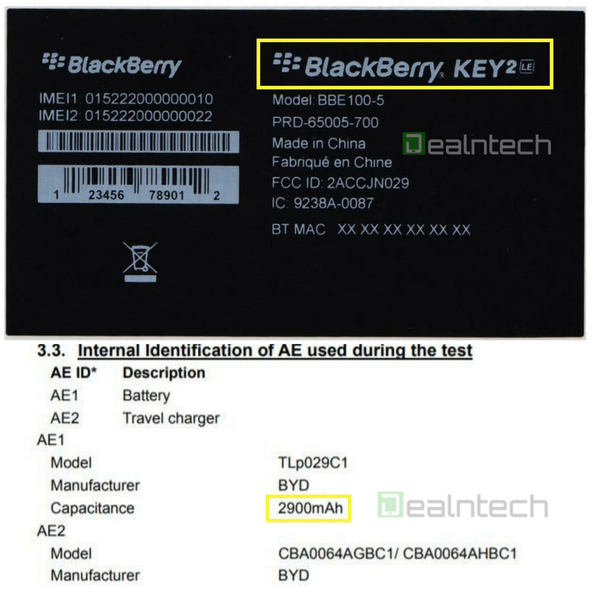 The previous models (BBE 100-1 and BBE 100-2) of the Blackberry KEY2 LE variant are speculated to launch with single SIM and multiple band support. From the BBE 100-2 previously GeekBench appearance we know the BlackBerry KEY2 LE will be powered by a Quad-core Qualcomm Snapdragon chipset clocked at 1.84GHz coupled with 6 GB RAM and runs on Android 8.1 Oreo. 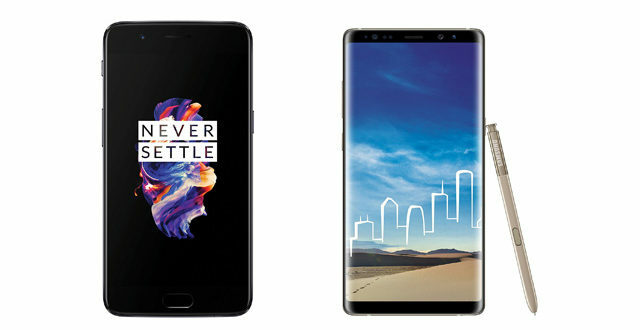 However, the three variants of the KEY2 LE are expected to come with different RAM or internal storage combination. Till now there is no word about the launch, price or availability of the device. It is believed that BlackBerry might announce these devices late next month or in early September at IFA 2018 in Berlin.